Over the past few weeks I’ve put about 30 miles on a pair of Hoka Clifton shoes, making it the first pair of Hokas that I’ve logged more than a single run in. As a more minimal-oriented runner I was quite curious to see how I’d fare in a shoe at the more maximal end of the spectrum (at least in terms of softness if not total stack height). The experience has been an interesting one so far and has given me a lot to think about. I plan to write up a full review of the Cliftons soon, but wanted to share a few thoughts on my general experience of running in them. I’m also curious to see if others coming from a more minimal background have felt similarly about running in soft, cushy shoes like the Clifton. Here goes! 1. They don’t seem to alter my form much. My cadence seems to have stayed right around it’s typical range. If anything, I actually feel like I may be a bit more up on my forefoot when running in the Cliftons, and this is supported by the fact that most of my sole wear so far extends from the midfoot forward. Not sure if this is because of the rockered sole (the sole is slightly curved so that the forefoot and heel angle up a bit from the midfoot – you can see this in the image above), or that the heel feels so soft that my body wants to avoid landing directly on it. The Clifton is a bit lower profile than some of the other Hoka models (stack height is 29mm heel, 23mm forefoot), but I recall feeling similarly about my one run in an old pair of Mafates (a big, cushy Hoka). My money is on the sole rocker being the major factor here. Anyone else feel this way about Hokas with regard to foot strike? 3. Stability has been fine except when I step on an edge. Again, the Cliftons don’t have as much sole thickness as some other Hokas, but they don’t feel like an unstable shoe to me. That being said, there have been a few times when I’ve stepped on the edge of a sidewalk and rolled my ankle a bit – the wide sole base and resulting long lever arm relative to the ankle probably plays a role here. On a trail they pretty much seem to conform to irregular ground debris by squishing over whatever I step on. You don’t feel much underfoot due to the soft, deformable sole. 4. The ankle collar feels a bit high. I’ve heard others say this about some Hoka models, and I think what my be happening is as the foot sinks into the soft midsole it causes a sensation of the ankle collar being higher than in other shoes. 5. Here’s my biggest observation – when I run roads in the Cliftons I feel like I’m working a lot harder than I should be at my easy pace. I think this is where the fact that I tend to be adapted to more minimal footwear comes into play, as I felt the same way about running in the Skechers GoRun Ultra (probably the most comparable shoe to the Clifton that I have used for more than a few runs). The Cliftons feel really soft in the midfoot and heel, and this seems to take some of the pop out of my stride. Conversely, on one run when I picked up the pace a bit they felt better, perhaps because I was more up on the front of the shoe. I’m wondering if this would change if I gave them more time, but my body seems to like firmer, more responsive footwear. The question for me is whether that’s because those are the shoes I’m used to, or if there is something inherent to my stride that makes me prefer a lower profile shoe. I’d love to see a study look at oxygen consumption in runners with various footwear backgrounds in their typical shoes versus in a super soft shoe like the Clifton. How about you? Would love to hear about your experience running in Hokas – leave a comment! 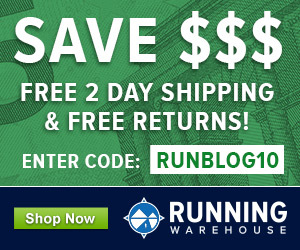 HOKA Introduces 5 New Models For Spring 2015: Challenger ATR, Constant, Odyssey, Valor, Vanquish Hoka Clifton Running Shoe Review Hoka Huaka, Hoka Clifton, & Brooks PureGrit 3 Previews on the Running Warehouse Blog Summer 2014 Running Shoe Previews Part 4: Hoka Huaka, Hoka Clifton, Hoka Stinson ATR and Lite Do Maximalist Running Shoes Reduce Impact Forces? Hi Pete. I’m not a minimalist runner by any stretch but lean closer to a stability shoe. While I haven’t tried the Clifton yet I’ve tried comparable shoes like Reebok’s ZJet. It’s just too soft. I can’t feel anything! I know the support is there but I do feel my cadence dropping. I think these maximalist shoes need to evolve a little more. I have had the exact same experience with stability in my GRU1 & 2s. I have run tons of miles in the GRU2, and have rolled my ankle twice (one time during casual wear) from inadvertently stepping off an edge just like you mention. I have been curious about your #5 observation also. Due to the fact that I am wear testing for Skechers, I have done a large percentage of my road and trails miles in the GRU1 & 2 this year. Comparing my run data to my data from last year, I have noticed some dropoff in pace for comparable base runs. Occasionally, when I mix in a more minimal shoe (like the GoMeb speed this morning), I am surprised at how easy it feels to run the faster speed. I really like the idea of being able to run high volume miles w/o my legs feeling beat up all the time (since I am currently 10 days away from my first 50K), but I definitely think this has come at the expense of pace for me. Ironically, I think the more cushioned shoe (the GRU1 or 2, in my case) works better for me on road than on trail. I think that the combo of a soft trail surface with a really soft & cushy shoe makes me have to work that much harder to keep running and stay moving. It’s almost like trying to run on a mattress, too much energy loss. I am still in process of figuring out my “perfect trail shoe”, but I think for me personally, it will be one with much less cush than the GRU or a Hoka. I’ve had the Cliftons over a month and find that my fastest runs of the week are usually when I’m wearing them. For me, they seem as fast or faster than when I wear a pair of Asics Gel Lyte33. I’m probably 15-20 years older than you Pete, and would never describe myself as very limber, so the Cliftons (and the Bondi 2) have been a big help in feeling better and recovering faster after runs. I’ve thought about what I’d replace the Bondi with when the upper gives way and my current thought is that I may not need anything more cushioned than the Clifton. The Cliftons don’t beat me up and the weight savings is very noticeable. I do about half my running on trails (dry SoCal trails) and they have been fine on those. I attribute being much healthier this year and being able to run more to the two pairs of Hokas I have. Over the last 3-4 years I’ve tried a variety of shoes – Nike Free 3.0, Pureflow, PureDrift, GoRun2, GoBionic, Kinvara, Mirage, Gel Lyte33 – I’ve found I like a 4-6mm drop but do better with more cushion than most of those shoes have. The Cliftons fit the bill for me – cushioned, but a far cry from the overly built up stability and motion control shoes that used to get suggested for me. I would echo Jim’s thoughts exactly. In fact, our experiences are almost identical. I am loving the Cliftons. I haven’t tried the Huakas yet, but eventually I probably will. The lower drop on those has me concerned about being too low. With regard to No5 -Perhaps the high cushioning reduces the benefits of utilising the body’s own spring mechanism when running with minimal shoes? If you imagine putting a soft squishy base on a Pogo Stick it may have the same affect. I have a pretty stiff stride based on lab measurements, could be part of it. I have to agree with Brad on softer shoes being much better on roads than trail. For me it is energy loss, loss of control and stability on technical terrain and just feeling non-responsive that keeps me leaning more towards firmer shoes for trail. Lower stack height is (maybe more?) important here too, not just firmness. Basically the less you have to stabilize the shoes’ response to impact (especially on off camber, side hill type terrain) the less energy you spend dealing with that side to side or reactionary motion and more energy moving forward. In the low stack world (for me that is sub 10mm midsole height (most inov-8 are 6-8mm forefoot stack)…maybe around 16mm or less total forefoot stack), inov-8 is the closest to nailing it for me. RE: #1 I do think they keep you more on the forefoot from the rocker, but the rocker invariably creates a longer stance phase (rockered bottom is actually just plain longer than small more minimal shoe). That combined with the deformation seems to do weird things to my gait, especially on steep downhills where I want to pick my stride up, but the rocker is not done finishing its motion. A no go for me after trying a few runs in some borrowed pairs of Bondi’s and Rapi Nui 2s. Lastly, I really don’t like how the shoes force my foot into that straight forward, rocker motion when, sometimes on uneven terrain you need pronation and more 3-D movement of the foot other than that straight forward, “on rails” effect that Hoka’s and, to a lesser degree, Pearli Izumi Emotion line gives…really works my knees in ways I don’t like :). On roads the issue is less pronounce, but still feels like too much of a gait altering mechanism to me that I would actually have to adapt (and atrophy in some areas) to. 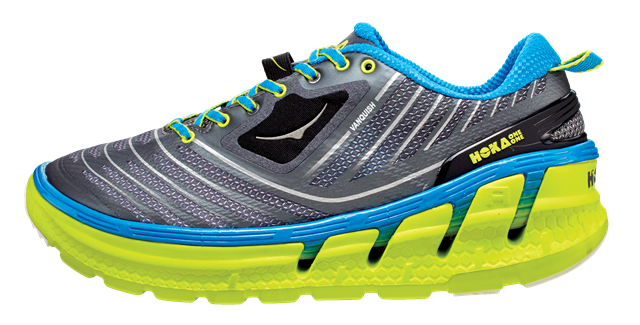 Just my take…will still be interesting to see how Hoka evolves and some of their newer shoes are looking better. The Huaka felt ok when I tried it on, but I actually though the Mafate Speed felt the best of their newest batch. Haven’t run in them yet, but might try them some day. Clifton and firmer lower drop 2mm Huaka both super fine and incredibly light shoes. Prefer the Huaka as the midsole material is not as soft, especially in the heel. I think the fairly acute heel bevel in the Clifton along with the softer than RMAT in Huaka EVA of Clifton is what makes them feel so soft to me in heel and midfoot, especially at slower speeds as you note. I “fixed” this issue somewhat, I think, by using a Supefoot Carbon insole. I find the forefoot while soft is a bit more agile feeling than Huaka, maybe the fuller harder rubber up front along with a bit better fitting upper. I totally agree with Jim above that with Hokas in my rotation my legs are happier day in day out. Just got the Huakas, will be interesting to compare. Sounds more like my kind of ride. Like Sam, I have had better luck in a firmer-riding pair of Hokas – in my case, the Conquests. Unlike Pete’s #5 observation about the Cliftons, I do not feel like I am working harder in them. In fact, it’s the opposite. They have become my go-to recovery shoe after long runs and speed work. I simply have to work less to maintain my easy pace. Granted, they are heavier, but they are firmer-riding and more responsive than it sounds like the Cliftons are. I’m a Clifton fan – that being said I really prefer them on road vs. trail – unless the trail is non-technical. For the “catching an edge” reason you state, I just feel unable to get good foot placement and feel agile on technical trail in them. The interesting thing is I too feel a bit awkward, like I’m working harder in the shoe than the weight should indicate. I wonder, could shoe VOLUME be a factor? If you are swinging an object with a high volume on the end of a lever – does it make a difference in oxygen consumption vs. a shoe of the same weight but less surface area/resistance? Interesting thought, not sure volume would have an effect independent of weight. I agree, especially with observation #5. You’ve articulated well what I’ve been trying to get my head around. I’ve put about 70 mies on the Clifton, and find myself wanting to pull them out less and less. I definitely feel that I’m working harder than I have to in them due to the softness. They are nicely protective, but feel like they rob me of some energy. Exactly, I like a lot about them, but they just make me feel like I’m working harder than I should be. I expected there would be some big differences in responses and really curious why some feel great in them and others do not. I’ve run 50 miles on my Cliftons. And so far they are working for me. I’m feel much less lower-leg tenderness than I have in a while, and my training speeds are the same. They feel light and natural to me and forget I’m wearing super-cushioned shoes. I had avoided Hokas for a long time, but I felt I had to find out if they would help with my constant soreness. Pete i do feel a bit the same. I have over the past 2 year been running in more minimal shoes and using minimal shoe as everyday shoe aswell (Skora, MT10, Vivo, MT110, Trailroc, and so on). Normaly i prefere a shoe with a drop from 0-6mm and a stack high on the lower side. However i my search for a shoe with a bit more underfoot for my really long runs i decided to get Kinvara 5 and The One2. I kinda like the fit of both shoe but never really get to love them as running shoes (Not yet atleast). Kinvara 5: I can only run about 2 miles in this shoe then i start to get wired feeling in my toes like my feet are sleeping, and it only get worse if i keep going. I have tryed with diffrent insoles to see if this did the trick but never felt happy with the shoe. The One2: I do like this shoe more then the Kinvara. The One2 i have so far been running around 15 miles as the longest run. I do how ever feel like i have to work harder to run in this shoe then in a shoe like RC1600 or GoMeb2. Iam not quite sure why, but after a run in The One2 my legs are more sore then in a more minimal shoe. Only reason i can think of is that in The One2 i have the much cushning underfoot and my feet are having a hard time to find a level ground feel because of all this cushnion. I’m really loving the feel of the Clifton’s. Their lighter than my Stinson’s and I’m able to pick up the pace in them without a problem. I was coming off a nagging ankle roll and between running in the Clifton’s and Huaka’s I was able to get my mileage without feeling the pounding underfoot. I would agree with your assessment if being able to land more Midfoot in the Clifton. I didn’t find any rubbing of my ankle. The Clifton’s certainly have a different feel from say a Kinvara Mizuno Wave Rider 17. You can more easily forefoot strike in a Hoka simply because you can! There is enough cushioning that you can do it without beating your feet to death. Regarding the “energy loss” felt by some, my opinion is that they haven’t spent enough time to re-tune their nervous system to the extra cushioning. It’s difficult to imagine that the extra cushioning causes significant energy loss. Running is an inherently low-efficiency behavior. My few runs in the Clifton, so far so good! I can’t see them holding up as well as the Stinsons though. I measured size 12 Cliftons at 8 7/8 oz and a size 12 Kinvara 5 at 8 3/4. So only an eighth of an ounce more than a Kinvara. That’s kind of what I was speculating about – whether my experience was due to my adaptation to less cushioned shoes. But my feelings about the Cliftons didn’t apply to a shoe like the Nike Pegasus for some reason, but did with a super soft shoe like the Skechers GoRun Ultra. Interesting to see the variation in responses here, just goes to show that diversity in footwear options is a good thing for all! I’ve put hundreds of miles on Hokas and I think you are worried about ankle rolling because you let your imagination get the best of you. You are running on legendary sky-high Hokas so they must be tippy, right? I did the same thing at first. But the Clifton has about the same heel stack height as the Nike Pegasus and the New Balance 890, and you never hinted at height instability in those reviews. After 500-plus miles on various Hokas, I think they’re no more tippy than any other built-up shoe and maybe less so than some because of the recessed midsole and snug upper. One caveat: I would not run in a taller Hoka in loose sand or powdery snow (I’m in Alaska), or on really technical trail runs, but that’s about it. The Clifton is probably the smoothest-riding shoe I’ve run in, and the low weight makes it an even bigger treat. This will be my next marathon shoe, without a doubt. I may like it more than you because, at 6-foot-3 and 180 lbs, I find something like the Kinvara is too little shoe for me and they bottom out. Could be. And you are right about the Clifton and Peg being similar in terms of stack and I didn’t experience that in the Pegs. As I said, I don’t feel any instability except when I stepped on the edge of the sidewalk. Suppose that would happen with any shoe, but a wider base to the sole might exacerbate things a bit. Interesting stuff to think about! Hi Pete, I’d love to hear your thoughts on the Altra Olympus. The sole has a similar rocker effect and maximal height cushion, but they do not feel soft or squishy underfoot… in fact the cushion is refreshingly firm. It would be great if you could get a pair of Olympus for comparison. I have the Paradigm, but need to get some miles on them. Also just got the Huaka. Will be interesting to compare the three shoes. I’ve leaned more towards the minimal side, running in Inov-8s, Saucony A5, as well as some ‘standard’ shoes like Kinvara’s, etc. 50k trail race in a pair of Inov-8 Trail Roc 245’s. I tore up my meniscus pretty good as was out of action for almost 3 months, during which time I bought both the Conquest and the Clifton. I love how my foot feels inside the Conquest, but the shoe is a monster. I love the size and weight of the Cliftons by comparison but find them to be ‘dead’ inside. I do not get any of the super comfortable cushioning I enjoy with the Conquest. As a side note, I can’t wear my Skechers Ride Ultras for more than about an hour at a time. They are so mushy that my feet get tired from dancing on sponges. Interesting, very interesting. Good idea for a post Pete. Dan. I have Clifton, Huaka, and Altra Paradigm. Paradigm to me sits in firmness, particularly heel between Clifto(soft) and Huaka(firmer). Really fine option although my sense is that it is a slower shoe for me than other 2. A long and recovery run shoe. Fantastically comfortable. Zero drop is part of the issue in speed for me. I added the superfeet Carbon to add some drop and firmness as I have done with Clifton and this really helps. In a similar vein to the Hoka’s, I am curious if any of you out there have tried the Brooks Ghost with it’s “crash pad”. AFTER cleaning up form by wearing minimal shoes, as well as refresher runs in minimal shoes once every two weeks or so, I find that running in the Ghost or similar shoes is… fun. They are not my every day shoe, but I like them on easy runs once a week or so. The big thing for me is that I have gotten rid of the habit of driving my heel into the ground to initiate the foot strike, so I no longer ruin my knees when running in soft, big-heeled shoes. I actually just got a pair of Ghosts to try for this very reason. No runs yet, but curious to see what a more traditional style shoe feels like after a long time in more minimal stuff. I have run quite a bit in the Nike Pegasus, but it’s a bit different than a more traditional neutral shoe in some ways. I ran for years in Ghosts. Bursitis in my hip sidelined me last year for several months. When I started running again in them, I felt I needed to stop every couple of miles and stretch out my hip. I decided to try the Cliftons, as many reviews of Hokas seem to say they helped people who have been injured keep running. The Cliftons worked great until I recently started upping my milage. In a size 14, the toe box is noticeably narrower. With a 6 miler one day and a 12 the next, I have gotten blisters on the lower portions of my fourth toes on both feet. I am 50, 6’3″ and 195 lbs. I would love a shoe with the cushioning and weight (less important) of the Cliftons, but the toe box of the Ghosts. Good point. And I’d add that bigger people – via combinations of muscle, height and weight – may find more cushioning but still lower drop works better. I’m 6’5″ and 190lbs so that’s just a lot of mass coming down on the foot. I’ve gone through a ton of minimal shoes, and love what zero or low drop does for my form but realized I need cushion too. I have been amazed at how good my legs felt after trail marathons in Altra Olympus, and am using Altra Instincts for daily dirt road running with great results in terms of leg strengthening and comfort. I started running at age 20, now 52 and my feet have taken a lot of abuse! Besides running, I also played soccer for many years. After a bad hamstring pull, I gave up on soccer and have been focusing on running. So I’ve been at the running thing for 32 years! My feet have almost continually bothered me or just plain hurt. I tried every shoe possible, including racing flats, long before the “minimalist” craze started. I had the very first version of the Nike Free. None of those shoes kept my feet pain-free like the Hokas. I’ve been able to up my mileage and training frequency. My average training speed is probably down, but race times are still pretty good compared to younger days. If I could go back in time and switch to Hokas I sure would do it. I think they accumulation of wear and tear in feet and lower extremities would be much less. I think I would have been a much happier runner and my times would have been faster in spite of the heavier shoes that Hokas are. You can’t race well if you can’t train well. I hope the younger folks will not turn away from running in the new crop of “maximalist” shoes. They could possibly enjoy long-term benefits, maybe increased running longevity. I haven’t been able to run since I had a sesamoidectomy in March of 2013. I tried doing c25k this winter to see if I could handle it, but after the second day my foot was sore for three days so that’s an indicator that it’s not happening. I did this in Asics Kayanos, since my foot surgeon said look for maximal footwear — Brooks Beast, Kayanos, etc. I wonder if I’d have better luck with the Hokas? I need lots of padding under the ball of my right foot, where the broken sesamoid was. Worth a shot. The combination of rocker plus cushion really seemed to help my wife with her neuroma pain, and we often recommend them in the clinic as an option to try for foot issues. As an experienced minimalist runner and shoes reviewer, I mostly agree with what you wrote. I recently reviewed the Rapa Nui Tarmac (road shoe) and was very surprised of the progresses made by Hoka since my previous review (the Bondi B, another road shoe I didn’t like). 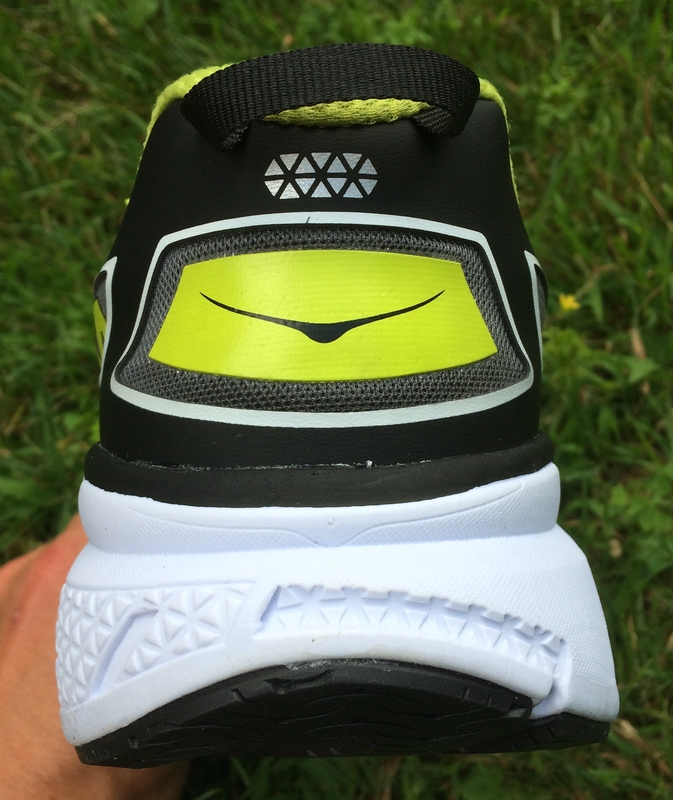 For a minimalist / Natural runner, Hoka shoes are still suffering from a far too narrow toebox. That’s a point. Positive points : low drop which doesn’t induce any form change, large sole surface, a bit of flexibility … which made me keep my usual midfoot strike. Point 5 of your article is something I also noticed. Although I appreciated running with the RapaNui Tarmac, I felt more tired than usual (especially around the knees) as if I had to spend more energy to keep a given pace. Waiting to review the Mafate Speed (trail) in order to compare. The Rapa Nui Tarmac is a very different shoe than the Clifton that Pete wrote about. The Rapa Nui is much stiffer (overly stiff to me). To me it felt much harsher when my foot landed. About the only similarity with the Clifton is that they’re both made by Hoka. The Cliftons sole and upper is softer and it’s more flexible too. I agree about the toebox – I’m not having problems with the toebox on the Cliftons or Bondi 2, but would prefer that they were a bit wider in that area. finally gave in to my curiosity and got a pair of Huakas last week- I have about 35 miles on the Hokas including recovery, easy and tempo runs. I have run in shoes of 15mm stack or less and 0-6mm drop over the last three years. 1. I like the rocker as it allows a forefoot/midfoot strike, cadence seems a little lower based on my Suunto and I feel it has to do with indulging on longer softer ground contact in contrast with the more minimal shoes I have recently run with. Toebox and forefoot really cut narrow, not sure the ultra running community that is the main Hoka target group appreciates that. 2/3. I took the Huakas on a short trail segment and almost rolled an ankle based on the stack height and the wobbliness. Major concern here! 4. The ankle collar is quite high but does not increase stability in my impression. The good quality upper has metal eyelets and on the sockless runs I got a bloody chafed spot on the inside of the foot just underneath the ankle. no issues when wearing socks. Summing up, it was a worthwhile experiment, but these shoes are not for me. I bought the Clifton and put 60-70 miles on them, but I decided to return the shoes. I’m back to running in my Brooks Launch and Racer ST 5 (I’ve also used Asics DS Trainer and Mizuno Elixir during previous marathon cycles). I enjoyed the weight of the Clinton, but I couldn’t get used to fit and ride. I struggled to do runs longer than 5 miles in them due to discomfort (early signs of blisters) on the balls of my big toes. I thought they needed more breaking in, but I threw in the towel after 60-70 miles. I thought the ride was pretty good, and I could really appreciate the max cushion on hills (both up and down), but my legs simply did not feel as fresh as they did in other shoes. I did appreciate the Clintons more on trails than on roads, but I think that just is a result of more hills on he trails (non-technical ski and hiking trails). I don’t know if I’ll try more maxi cushion shoes in the future, but for now I think I’ll stick to “performance neutral” shoes with decent cushioning. I’m probably more interested in seeing how materials (adidas boost, etc.) 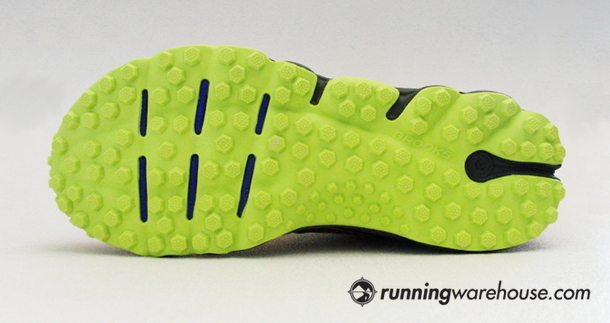 may impact cushioning without impacting stack height and flexibility. You “return” shoes after 70 miles? How does that work? Please let me know who your retailer is. I would like to return all my shoes over 300 miles. RoadRunner Sports for one. You can get store credit within a certain amount of days. More days for VIP members. Returned shoes end up in their outlet store sold as is and non-returnable. Surprised myself with the Cliftons this morning. Monday I ran a 25K race in big humidity and heat and with hills. Not fast did OK, tough day. This morning ran my usual 5.2 m flat road loop in Cliftons, “firmed” up with Superfeet Carbon insole. I “test” myself and shoes periodically on a 0.9 m flat straight Strava segment to the finish. My pace through the run was progressively faster and then hit the segment. The Cliftons still felt soft and didn’t “feel” as fast as my adios boost due to softer forefoot, not as much road feedback. The soft heel issues at slower speeds not as noticeable at speed. Cliftons definitely felt protective, I felt smooth if a bit disconnected and maybe sloppy but what about the result? 3 sec PR on the segment, 6:44 pace. I have both the Clifton and the Hauka. I have about 50 miles on each pair. The Hauka is a much more responsive shoe but the lower drop has caused some problems with my AT. The Clifton at the end of a 14 mile run just didn’t seem to have any energy or any return. I have used them on pace runs and I to feel as if I am working much harder to keep my pace. I am switching back to my Air Peg 31 and Flyknit 4.0 to do some comparison runs. I did a hill/pace run in the 31’s the other day and I swear they felt lighter on my foot than either of the Hokas. I am a bigger runner about 6-2 around 210-220 (depending on my eating habits that week). After a few more runs in the 31 and the 4.0 I will try to give some feedback on how they all compare. I wore two pairs of Hoka’s last year for a few months and found they broke the kinetic chain that for me, is the key to running. I could no longer “feel” the run. I am a cushioning fan but you have to have sensory feel as well. For me the Hoka’s shut this off totally. For the first time in thirty years, I had back pain from running. My body lost touch with the ground. Back to Airmax for me….love the Nike’s. First 50k Ultra coming up next weekend. Sorry Hoka, I wanted to love you….. 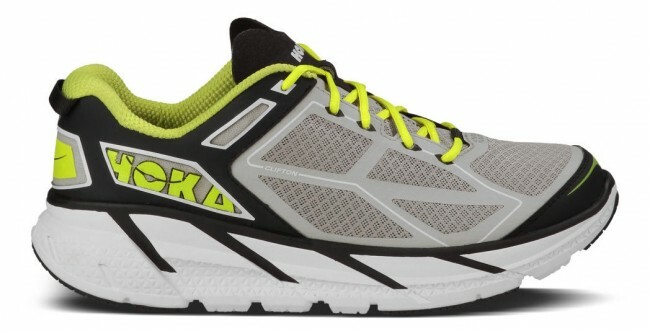 I tried Hokas but did not like the narrow toebox and the 5mm drop of the Bondi3. I’ve tried the zero drop Altra Paradigm with great success. Stack height is 5mm less but so downgrade in the cushioning. Yesterday, I ran my local BQ marathon with Clifton. I felt good about Clifton, well-made. Only regret I wish it for women Clifton. I put few hundred miles on it, average 10 miles per run. My only humble concern is it requires strong ankle to control extra cushion under but Clifton is well made shoes. I could be wrong since I’m a barefooter, and run barefoot daily 8-10 miles per run. I completed 7 barefoot marathons including 2 Boston marathons in two years. So, I could wrong besides I’m only 73 planning to run 2015 Boston marathon. I find Cliftons to be ideal trainers for me. I have two pairs and do all my mileage in them for the month of August and my legs feel great. I choose a smaller shoe Saucony A5 for racing anything 10k, half-marathon, and marathon; and mizuno wave universe 4 for 5k. 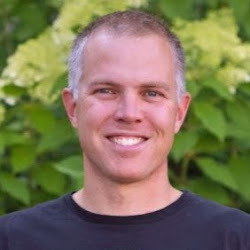 Peter, similar to you, I have really enjoyed the Skechers GoRun Ultra’s and so when the Hoka Clifton was announced, it seemed to be very similar category. I am on my 2nd pair of Cliftons training for the MCM in a few weeks. My wish list for improvements would be to mash the 2 shoes together! Give me the toe box of the GRU, the overall lightness of the Clifton upper and the soft-er landing of the GRU. BTW, is there any update on a next version of the GRU? New GRU is in the works, can’t recall the release date though. The GRU2 is scheduled to release in January 2015. I have been told that Skechers will give bloggers and reviewers the green light to start posting shoe reviews in January. does anyone find any advantages to rapa nui over clifton or huaka (aside from current prices)? also, do people find gorun ultra to be even softer/mushier than most hokas? Rapa nui is a much firmer and heavier shoe than Clifton. My rapa nui’s have collected dust since the Clifton arrived. The GRU is a bit softer than Clifton but it firms up when you pick up the pace. I only use that shoe on the roads and it only lasts about 200 miles for me. thanks, julia. re the ultra: is the 200 because of the (non)outsole, or did the cushioning give out? also, did you use the insole? i’ve read a couple of places that the real heel-toe is 14 with, or 10 without. did it feel that high to you? For me the lateral outsole on the GRU wears really fast but my footstrike is mid-lateral, so the outsole ends up wearing down quite uneven. Same thing is happening in the Clifton only the wear is not as fast but the shoe is more expensive than the GRU so it all seems about right. I do keep the insole for the GRU in – my sense is the drop is greater than what is reported but 14 seems excessive. My calves tell me it’s 10 with the insole and more like 8 without. I agree with Julia’s comments. I find the GRU bottom exterior wears pretty fast because it is a very soft material with no external rubber coating it. Priced as low as it is, more tolerable to replace at 200 miles. I wear it with the insole, feels 8-10ish. Interesting anecdote, the GRU is so soft, my landing hardly makes any sound and I spook people on running paths as I come up behind them. yes! I call them my Ninja shoes! does the ultra work ok on easy trails? how well do you like running in the shoe while it’s alive–transition, traction, responsiveness? Yes, the shoes have stayed quiet after some wear on the outsole because it’s still the same material. Easy trails feel fine, the lugs on the outsole provide good traction. One trade-off of cushioned shoes is loss of transition/responsiveness. But I don’t feel that too much with the GRU, I don’t feel the shoe is sluggish in that sense. If you read all these comments it is really difficult to comprehend how people can find exact opposites in the same shoe.